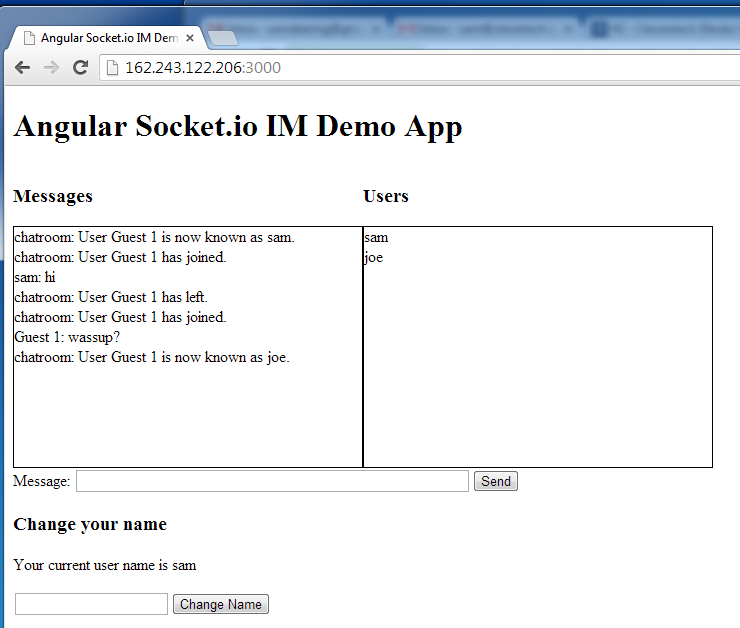 HTML5 Rocks Chat App Demo Socket-io. Install & Analysis. Nice example of socket.io service in angular but doesn’t do much. Uses Jade node template engine. In depth tutorial on whats going on a bonus.